This time I am here with a recreation of another Instagram beauty trend. 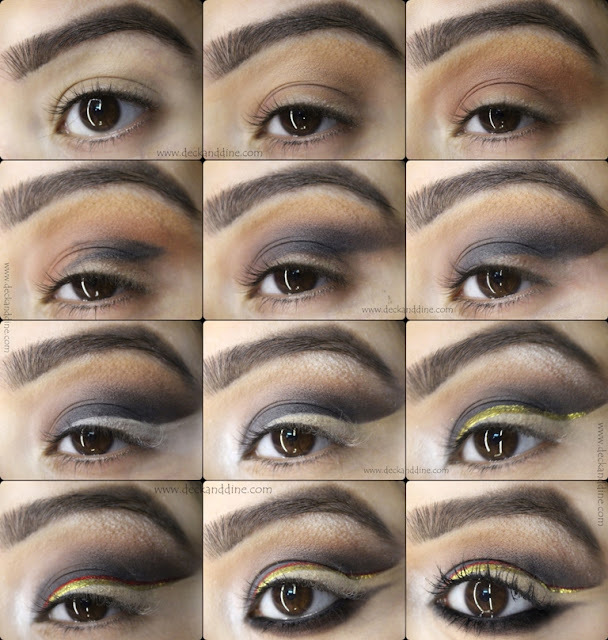 Invisible eyeliner, no liner look, floating eye liner or the no wing winged eyeliner, whatever you call it, it is taking over the internet, it is unique, intriguing and I am drooling over it. How much I love trying out new things, something that is glam and artsy. So let us get into the quick tutorial of this look. Prep your eyes and groom your brows. Take a peachy eye shadow on a fluffy brush and buff it into the crease. Now take a brown on the same fluffy brush and intensify the outer crease area. Take a small brush, roll over a dark matte black and draw a ‘V’ on the outer corner. Make sure you don’t go too ‘out’. See picture for reference. Now start blending the colors well. Avoid the very outer corners and the main lid area, because that is where you will have your “invisible liner”. So the more products you have on those areas, the more concealer you will need to conceal them. Go slow and softly. Take brown and blend any harsh lines. Keep on packing colors if you need to. After you have blended the colors well, take a wet wipe and clean the portion you want your invisible wing to be. This is an additional step; you can skip and directly go to the next. Now take concealer on a small angular brush and go over the part you cleaned. Give a winged eyeliner kind of a shape. Now use your foundation and go over it. Foundation because you have to blend the liner to your skin; it shouldn’t be something of different color than your skin tone. You can directly go with foundation as well. Just keep in mind that the product you are using matches your skin tone and gives a full coverage. Set it with powder. With a golden liquid liner draw a line from the very inner corner of the eye to the outer end of the invisible liner you created. Go with a red over the golden line. To me lining with different colored eyeliner is the key part of this look. Highlight brow bone and inner corner of your eyes. 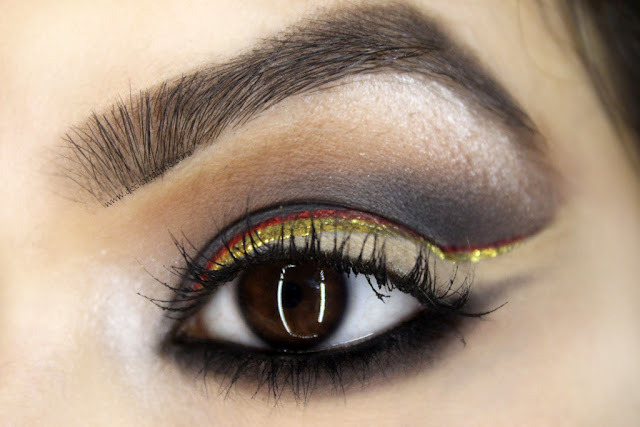 Apply black kohl on lower lash line and smudge with brown eye shadow. Apply coats of mascara to round off your look. You can apply falsies as well. Let me know your thoughts regarding this trend. Would love to hear from you. 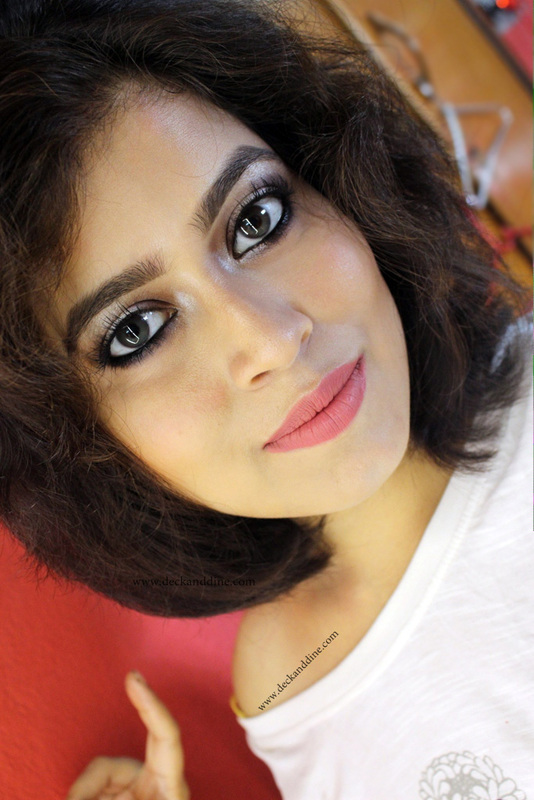 Also I recreated another beauty trend few days back. Click HERE to have a look. Girl you make this look so easy! Such a fun look! I love the gold glitter! Love the step-by-step tutorial. So easy to follow. Great job! !